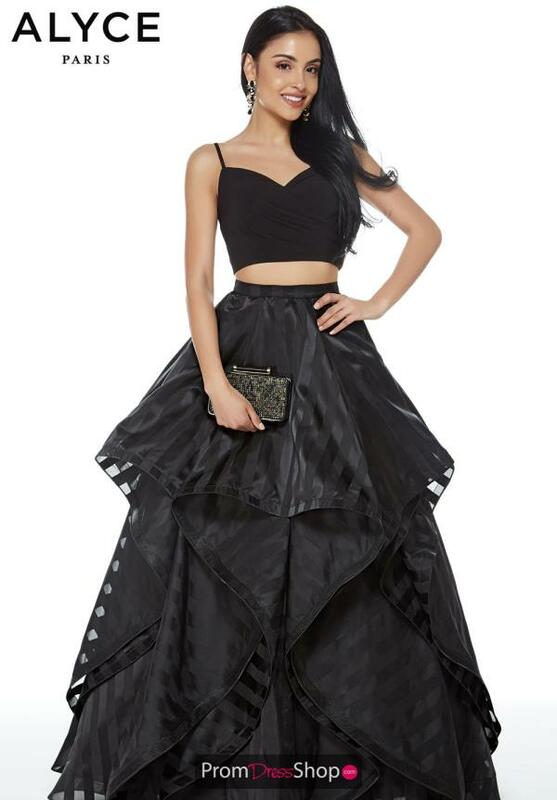 One of a kind homecoming dress 60278 by Alyce Paris has a fitted jersey crop top with ruche detailing. The back is opened and connected by small straps for conformability. The full a line skirt is multi-tired and made from a fun organza material that will keep you cool, yet classy throughout the whole night. The stripped pattern on the skirt is very unique, you will be sure to stand out in a crowd.